Chilliwack is the first stop in PIGS western Canada Tour. IGS are starting 2018 with the second leg of a 12-week, 45-date tour that started out at the end of September at the Port Theatre in Nanaimo and took the band across Canada as far as Sydney, Nova Scotia. The second leg of the 'Left and Right Canada Tour' features dates in Saskatchewan, BC and Alberta and will take them to over 15 cities half way across Canada and back. PIGS will be starting the second leg of the tour in Chilliwack at the HUB International Theatre at Chilliwack Cultural Centre on Friday, February 9th. Where: Hub International Theatre at the Cultch, 9201 Corbould St.
Tickets: $42 (service charges included) and can be purchased at the door via phone 604-391-SHOW (7469) or online here. WIN a pair of show tickets from The Voice. We've got two pairs to giveaway so your chances ton win are better. Just e-mail your name with Contest in the header. Address or phone number not necessary. No hard copy tickets. Give your name at the door. It's that easy! Over the past few years, PIGS: Canada's Pink Floyd, have toured BC and Alberta extensively, playing for fans in Prince George, Fort St John, Airdrie, Red Deer, Edmonton, Kelowna, Kamloops, Chilliwack and just about every city with a population of over 40,000 people. Having won the hearts of Floyd fans coast to coast, PIGS will soon be heading across the border into the US, with Pacific and East Coast tours in the works, as well as tour plans for Asia and Europe. "People always say you should find a job you love – and we really love what we do," says Szczepanowski. PIGS shows truly are a labour of love – every night of the tour would have different songs and visuals added to their sets to accommodate fan requests. Twelve different guitars and basses would be used each night and Josh estimates they must have played ‘Echoes’ for a total of 15 hours over the course of the tour so far. PIGS welcome the challenges and find it keeps their shows fresh, dynamic, authentic and exciting for their fans. At a number of stops on their tour, PIGS invited local youth choirs to join them on stage to sing, "Another Brick In The Wall part 2", from Pink Floyd album, “The Wall”. Their collaboration with the choirs was a real treat for the audience, and a great experience for the kids – as well as one of the most memorable tour moments for the band. "The crowds went crazy whenever the kids started singing", says Szczepanowski. "We love the concept of inviting the local community into our show; and on stage we all get a real boost watching the kids perform!" 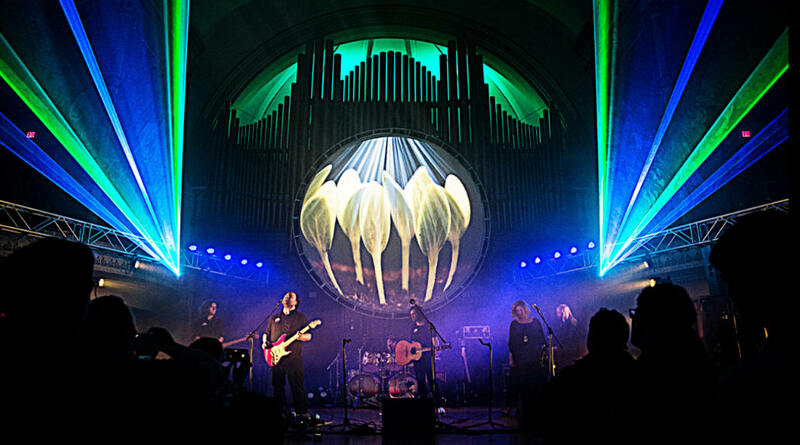 Formed in 2008 in Victoria, British Columbia, PIGS: Canada's Most Authentic Pink Floyd Tribute honour Pink Floyd's music like no other tribute. 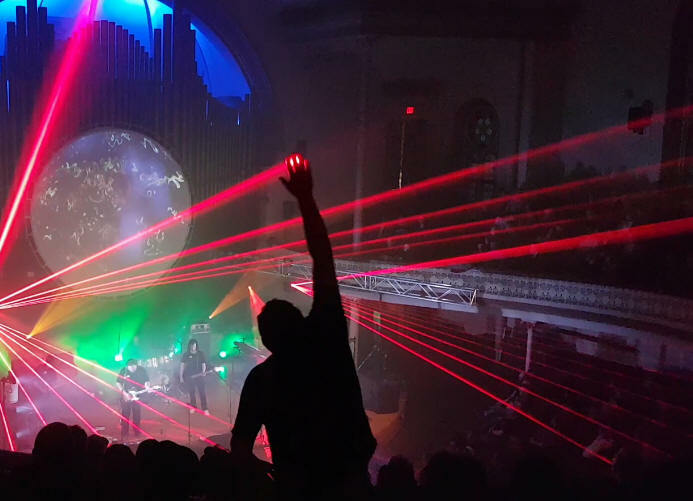 They have spent 9 years meticulously getting the sound and gear right to re-create the live sound and concert experience of 70s Pink Floyd and have been perfecting their craft in front of sold out audiences throughout Canada. The band will perform selections from the entire Floyd catalog, including a few special surprises from Floyd solo records. In addition to classics from legendary albums like Dark Side Of The Moon, Wish You Were Here, Animals, and The Wall, the band will showcase material that has rarely—if ever—been performed live by Pink Floyd. Pink Floyd's live show was always a huge part of their appeal – and Pigs have been working hard for years to keep that experience alive for generations to come. They have the voices, the mannerisms, the authentic gear, the lights, lasers, visuals, and the sound. The band and their lighting, sound, and visual designers are all Floyd aficionados and are coming together to bring fans an incredible night filled with music, lasers, and the glow of a giant circular Mr Screen One of Canada's premiere visual artists, VJ Photon, aka Erik Nortman, has been PIGS' visual artist since 2009. 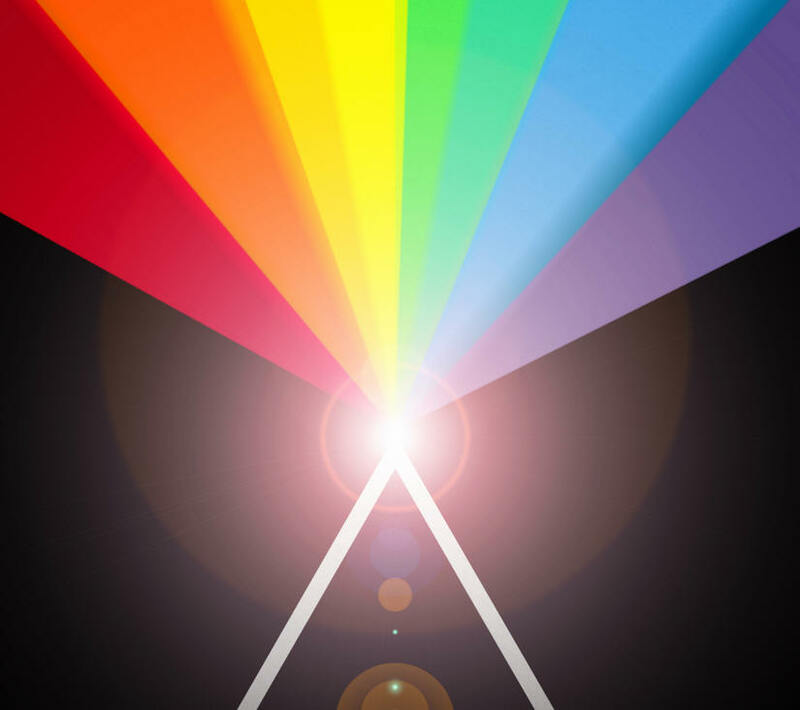 He has brought his creativity and visual magic to delight Pink Floyd fans with an incredible visual experience that makes their eyeballs dance. "Our new high-end lasers really add sparkle and color that take the show to the next level," says Photon. "The crowd never knows what to expect when they first see us", explains Josh Szczepanowski, "but I think from our opening song the audience knows they are in for a really great show!" PIGS is the most authentic Floyd act around, with the right people, equipment, and performances to give audiences an incredible musical experience they will never forget. 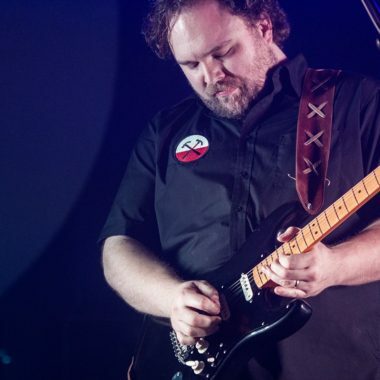 With over 150 concerts under their belt and currently evolving into a full time international act with an average of 100 shows a year, it is not hard to see why PIGS are considered "Canada's Most Authentic Pink Floyd Tribute." Watch a ½ minute YouTube clip here. For more information, visit PIGS website here.